Directed by Jon Favreau. Produced by Jon Favreau and Brigham Taylor. Written by Justin Marks. Release date: April 15, 2016. 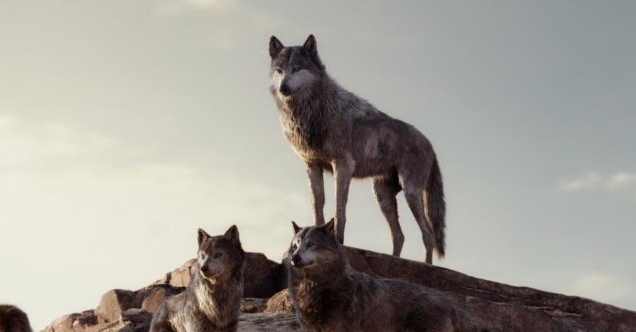 Our protagonist is Mowgli (Neel Sethi), a child who was orphaned as a baby and then raised by both some wolves and a black panther named Bagheera (voice of Ben Kingsley), who act as surrogate family members. He learned to speak the collective tongue I presume is known as "animal," he spends his days playing with wolf children, and on the whole has a pretty good life. However, an appearance by a tiger named Shere Khan (Idris Elba) threatens to ruin that way of life, since Shere Khan hates humans, and decides that, as long as Mowgli is in the jungle, the other animals - and the jungle itself - cannot be safe. 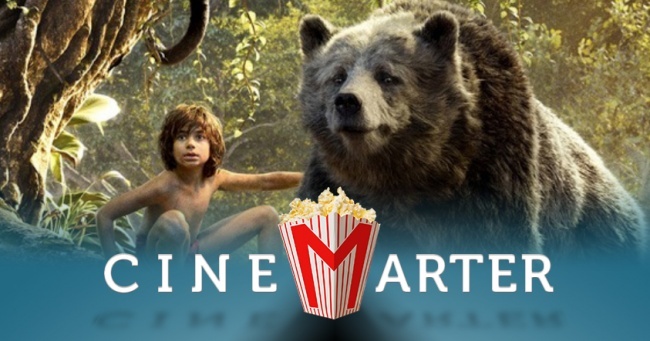 Mowgli decides to leave the wolves, heading out on an adventure that sees him meet all your favorite animals from the movie, explore various parts of the forest, and eventually have a meeting with Shere Khan. Each of these segments is enjoyable in its own right. 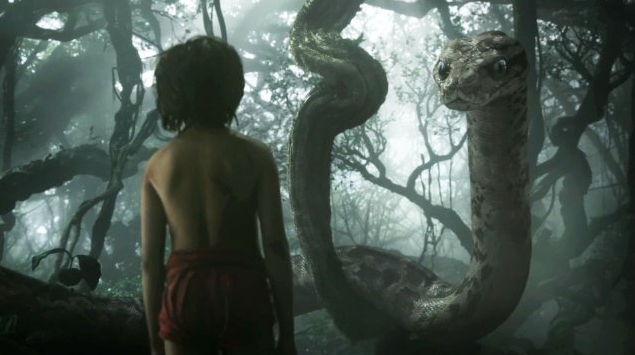 From the scary encounter with Kaa (Scarlett Johansson), the predatory snake, to the lounging around with Baloo (Bill Murray), a sloth bear, or even the chase sequence featuring King Louie (Christopher Walken) - The Jungle Book keeps you entertained for its entirety, and it does it in an efficient 105 minutes. It's a darker movie than the animated one, but it's very effective. The first thing that stands out about Jon Favreau's movie is the way it looks. 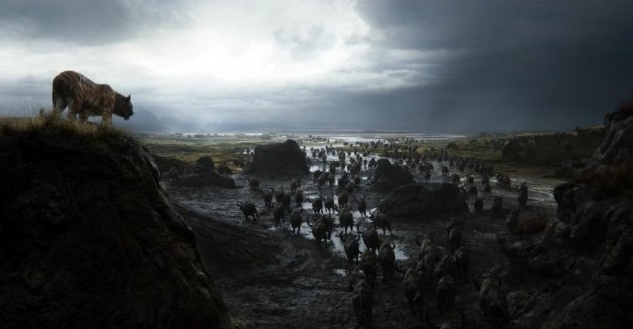 This might be the best-designed CGI world since Avatar - and it has more going against it since its world needs to look realistic. It's CGI overload to be certain, but it's good CGI that's been used to create something that's pleasing to look at. The animals look tremendous - think Life of Pi, but for the whole movie - the scenery is gorgeous, and you can, at times, even forget that it's all done with computers. The interactions with Mowgli feel authentic, which really helps. The Jungle Book is a very solid update of both the 1967 animated film and the original stories. 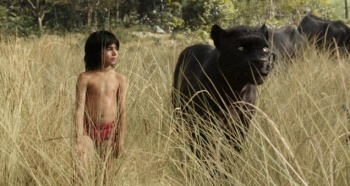 I'm one of the more critical people out there when it comes to child actors, but Neel Sethi won me over as The Jungle Book progressed. It's not that it's a particularly deep emotional performance - and when he has to speak, the acting gets weaker - but the simple physicality that the role requires is impressive, and being able to do any acting alongside talking CGI animals is something to admire. The vocal performances more than make up for any deficiencies, too. Bill Murray is warm as Baloo, and Ben Kingsley is very fatherly as Bagheera. But the vocal performance standout is Idris Elba, who is so articulate and menacing that you can't help but fear, and also understand, Shere Khan. Those motivations contain some of the themes of The Jungle Book. Shere Khan isn't acting this way simply so the film has a villain; he's scared of humans, of Mowgli, and of what Mowgli may eventually grow into if he doesn't stop it. It's about protecting the forest and the creatures - he's only the antagonist because he's unreasonable about how to achieve his goals. We also get to see the values of human tool-building, which is all sorts of swell, because science is awesome. Now, not all of The Jungle Book works. The new film incorporates a couple of the songs from the animated film - "The Bare Necessities" and "I Wan'na Be Like You" - and while the former fits fine, the latter is tone-breaking and unnecessary. The overload of CGI can, at times, be overwhelming. And there are some changes from the animated film, and where there is change, there are people saying that change is bad. The plot was never this amazing thing anyway, and I'm personally for the changes, but take that as you will. The Jungle Book is a very strong update of both the 1967 animated film and the original stories. It's almost entirely done with computers, save for the protagonist, but the result is one of the best CGI worlds ever made. The lead actor is good, the vocal performances are great, and the film looks amazing. Its plot isn't anything special, but it's elevated by a couple of themes that will resonate with the audience. It's thrilling, filled with action and adventure, and is another successful "live-action" Disney remake. Bottom Line: A win for Disney and a win for audiences, the new Jungle Book is really good. 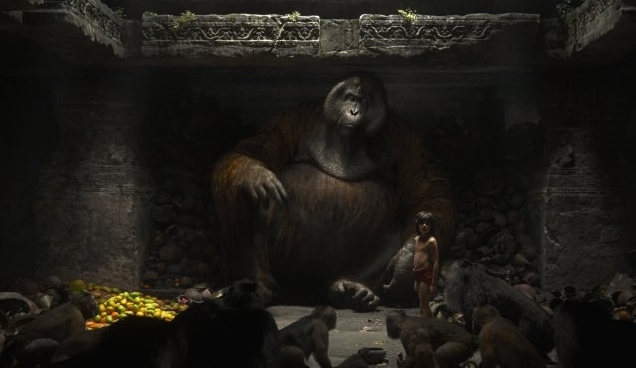 Recommendation: Young children may find it a little scary, but The Jungle Book is a great film for all ages, and it benefits from seeing it on the big screen.